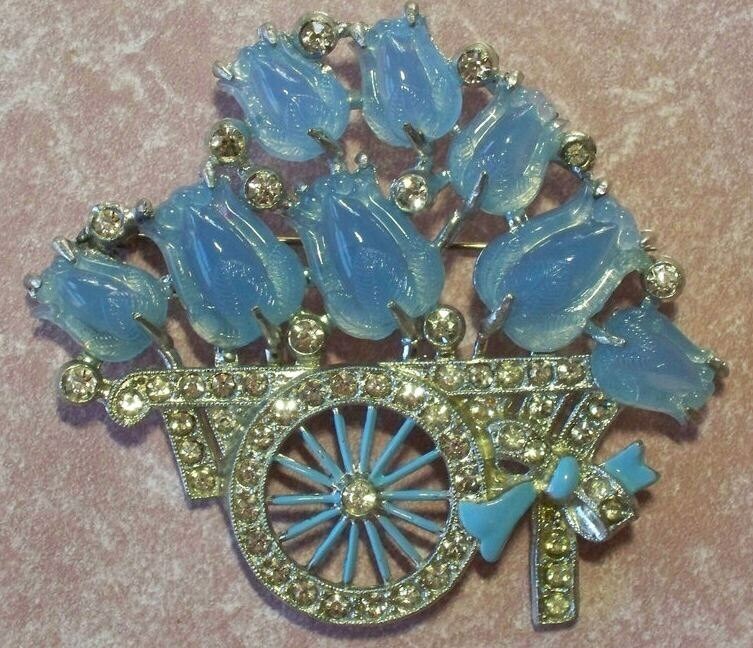 Unsigned Coro brooch with tulip flowers molded to imitate carving, in pale blue moonstone type glass stones, clear rhinestone accents, matching blue enameling, all set in pot metal, circa 1935, a whopping 2.75". This beautiful garden cart is a Rare find, these are extraordinarily difficult to find. 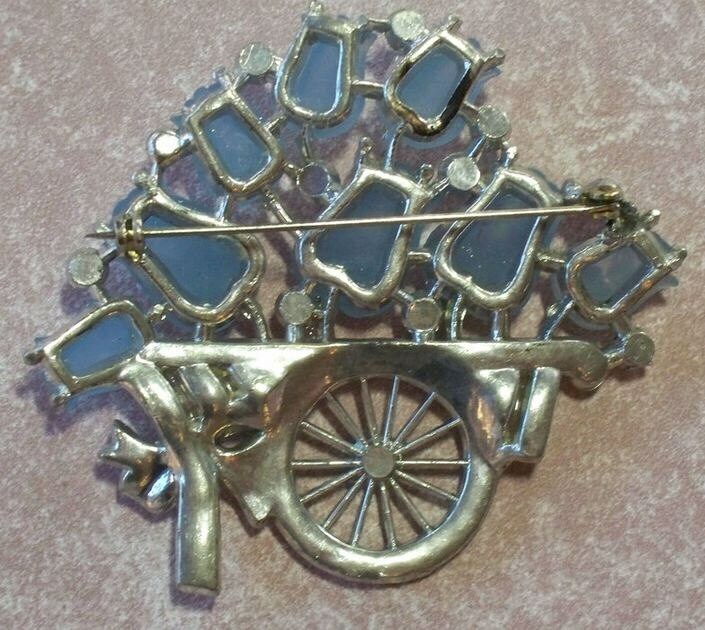 This brooch was verified by Marcia "Sparkles" Brown the author of the book "Coro Jewelry Collector's Guide" at the 2011 Costume Jewelry Collectors International convention in Rhode Island. 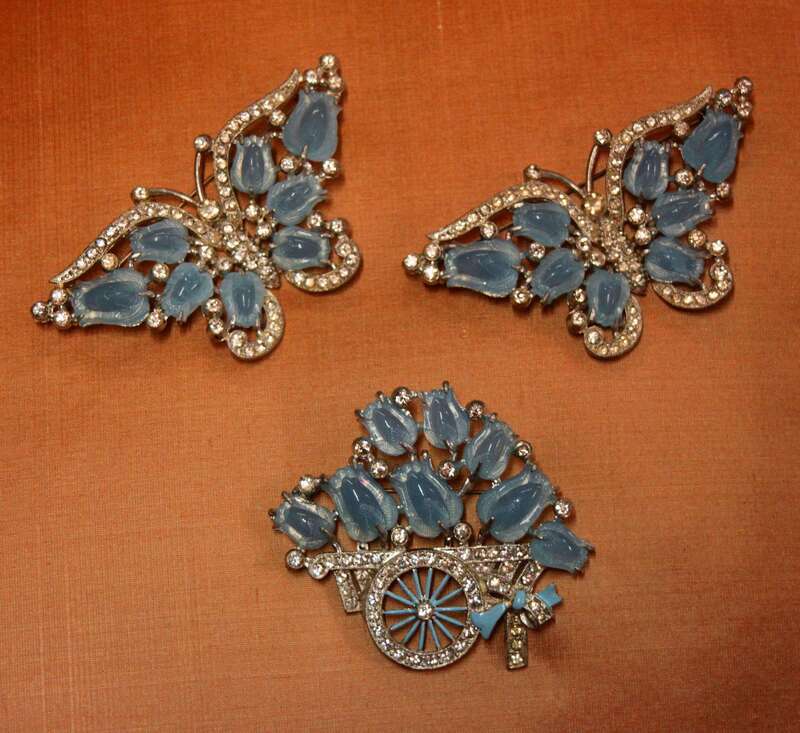 I have a companion pair of butterflies for sale as shown in the third photo, look for them in my other listings. 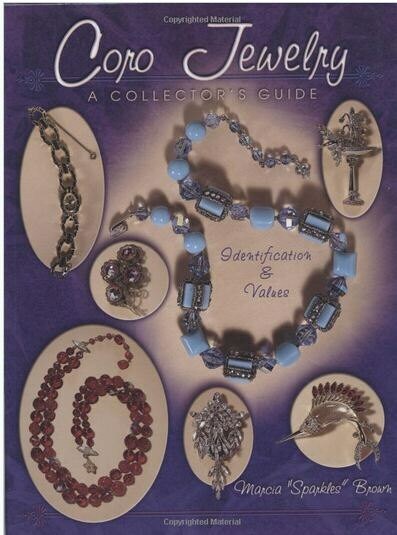 They are amazing from an estate in Jacksonville, Florida.